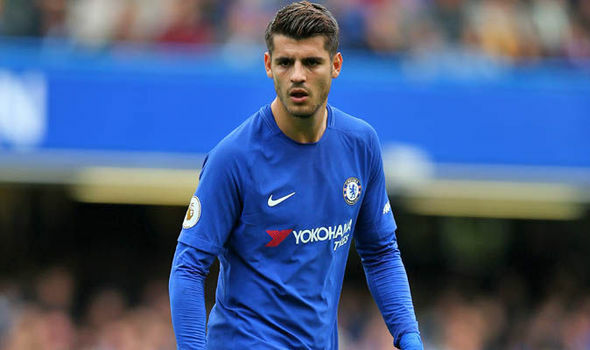 After leaving Real Madrid for Chelsea last season, Spanish striker Alvaro Morata has not really made an impressive start for the club as he had not been able to perform up to expectation in the premier league. Following the striker’s arrival as a big name at the Stamford Bridge last season, he has not really performed as expected as he has only scored just 15 goals in all competitions in his first spell at the club. Despite ending last season with a poor performance, the striker has not yet shown an impressive start this season as he has just been able to net just a single goal in a total of four starts. Meanwhile, the striker said he’s keen at returning to the Spanish side this season to attain a better performance at Real Madrid. While speaking with Evening Standard, Morata described Madrid as the biggest club in the world and would be glad to make a return back to the European champions, stressing that there’s no player who wouldn’t want a return to the club. The 25-year-old striker also described Chelsea to be a good club and happy with a stay at the club but made it clear that everyone would want to play for Real Madrid. However, the striker leaving the blues would not bother the fans much and Madrid might not be too interested in the player unless he shows improvement this season.